At Optiv we want to help you be your best self. Become part of the fastest growing company in an essential industry. Love the work you do and be proud of our impact on the world. 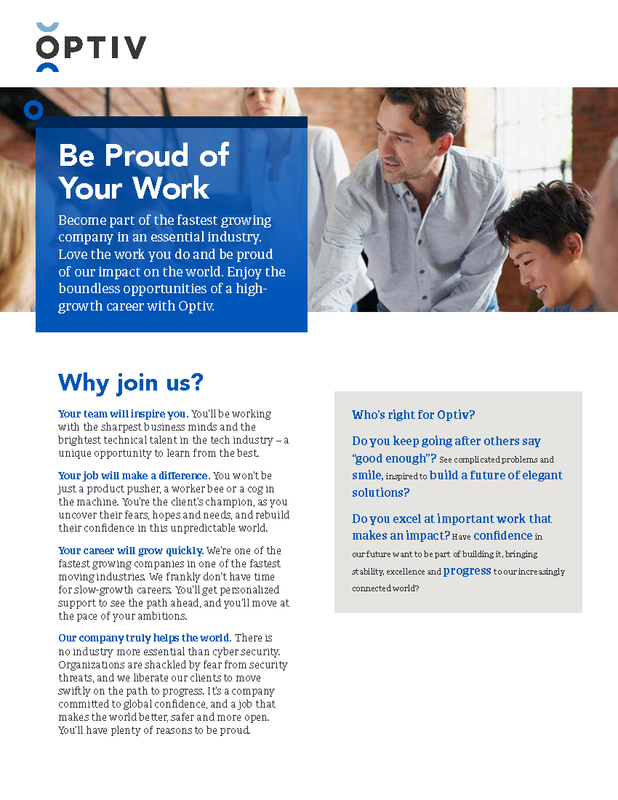 Translate your education, skills, passion and goals into the perfect role for you and enjoy the boundless opportunities of a high-growth career with Optiv.